More and more often these days, we hear about American consumers "cutting the cord" on cable television -- canceling cable TV subscriptions in favor of Internet streaming. But does this mean that cable television is doomed? That's what the headlines would have you believe. In fact, The New York Times reported in May that at Comcast (CMCSA), for instance, cable TV subscribers were down 8,000 in the first quarter -- while 407,000 new customers signed up for high-speed Internet (through which you can stream television shows without a cable TV subscription). Rival cable provider Time Warner Cable (TWC), meanwhile, is said by International Business Times to be facing a "mass exodus of pay-TV subscribers." All of which sounds sounds like bad news for the cable companies, and good news for consumers. According to the New York Times, even though Comcast now has more Internet subscribers than cable TV subscribers, it gets 77 percent more revenue from its TV business ($5.3 billion) than from selling high-speed Internet ($3 billion). The more the TV business shrinks, therefore, the less money Comcast earns, even if Comcast's Internet business expands. And not coincidentally, this tends to imply that customers' cable bills will be shrinking as they migrate away from cable TV and toward streaming Internet TV instead. Citing research by Big Four consulting firm Deloitte, Statista reports that America's youngest consumers (ages 14 to 25, a grouping now often being referred to as "Generation Z") are about 37 percent less likely than its oldest consumers (ages 68 and up) to pick "pay TV" (which would include both cable and, for example, satellite television) as one of the top three most important communications and entertainment services to which they subscribe. The implication being, these young folk may currently get cable -- but they wouldn't mind so much not getting cable. Young consumers are likewise 35 percent less likely than baby boomers (ages 49-67), 28 percent less likely than Gen-Xers (32-48), and even 23 percent less likely than Millennials (who at ages 26 to 31, are apparently no longer our youngest generation) to "value" pay TV among their top three services. All of this seems to suggest that America is "aging out" of the habit of paying for television. The younger the cable viewer, the less likely they'd be to miss having a cable subscription after cutting the cord. At the same time, Deloitte's data show that the youngest consumers are more likely than any other generation to value being able to "stream" their television (and their music, too) over the Internet. And again, as Comcast advises, that's not as profitable for the cable companies -- and logically, must therefore be cheaper for consumers. At the same time, though, Deloitte also confirms that while Generation Z is less likely than any other generation to value having cable access a lot, most young consumers still do value it some. In fact, a clear majority of America's youngest consumers say they value cable. Either way, fully 58 percent of the group ages 14-25 expresses a "media preference," as Statista puts it, for watching pay TV. Even if many customers of this age group value streaming video (72 percent) and music (42 percent) over the Internet more than they value cable TV, it seems clear from the data that they're streaming in addition to watching pay TV -- not instead of it. When you get right down to it, the whole concept of consumers saying they're "cutting the cord" on cable by canceling their TV service is a bit self-deceptive. Fact is, even after you ditch cable TV and switch to streaming, you're still cutting a check to the cable company every month -- for the Internet service. One way or the other, as long as they control the "pipes" that bring Internet and cable into our homes, you just know the cable company is going to "get you." If too many customers cancel TV service in favor of Internet streaming, the cable company can simply hike rates on Internet service to compensate for the lost TV revenue. And yet, the good news is that given that so many younger-generation customers, down to and including "Generation Z," still say that pay TV remains one of the "most important media services" they subscribe to, cable companies may not feel like they need to hike Internet rates just yet. 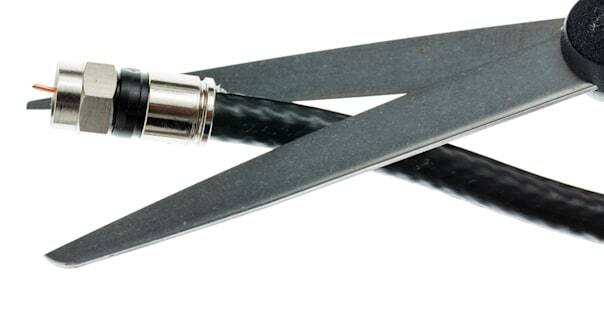 If consumers want to put off the day that cable companies feel compelled to hike those rates, such that Internet streaming becomes just as expensive as cable TV, maybe we should all cool it with the "cutting the cord" talk. There's no need to give Big Cable an excuse to raise our rates sooner than absolutely necessary. Wouldn't want to spook 'em. Motley Fool contributor Rich Smith doesn't own shares of any of the stocks mentioned above. (Nor does The Motley Fool.) He tried to get out of the habit of paying for cable TV once, but they pulled him back in. Try any of our Foolish newsletter services free for 30 days. And check out our free report on one great stock to buy for 2015 and beyond -- no cable subscription required.